Hello Frieds, looking to increase your blog traffic, generate leads and drive in sales? Unlike popular myths and grandpas' fables, improving your blog traffic is pretty easy, interesting and less stressful, thanks to the current online tools we've got. In discussing traffic, apt attention must be paid to Search Engine Optimization (SEO). The discussion of today actually focuses on traffic from search engines which is possible through the proper use and application of Search Engine Optimization (SEO). SEO is at the neck of getting and improving blog traffic. Traffic gotten from search engines have proven to convert better than traffic from other channels. With properly optimized web pages you would not just be getting more traffic, you would be driving in traffic which converts. Thus, the place of SEO in improving traffic and content marketing can never be overly emphasized. It is an integral part on the subject of improving traffic. Here are 5 tools with which you can grow your blog traffic by 101% with the use of Search Engine Optimization. Read Also:- Fastest Way To Increase Your Blog Visitors. Ahrefs is an online tool which helps you improve your search engine traffic by helping you improve your site's SEO. Ahrefs is able to do so through the following processes. 1. Keyword Research: With this Ahrefs lets you in on the keywords your competitors are using and the ones they are ranking for.The knowledge of what keywords your competitors use and rank for would help you strategize on how to beat them to their own keywords. Thus, giving you a shot at ranking higher than your competitors. 2. Content Research: You would be able to know what content(s) in the niche you blog on are driving more clicks, getting more social shares and backlinks. 3. Link Building: Ahrefs lets you know where your competitors getting their backlinks from. Buzzsomo is an online that helps websites and blogs to discover what contents are able to engage visitors and garner outreach opportunities. Buzzsomo offers help on issues like growth hacking, organic means to build blog traffic; visitors and customers, building links with influencers, and providing value to the lives of people. Ubersuggest is an online keyword research tool. With Ubersuggest you would be able to research keywords which are not available in Google's Keyword Planner tool. It is a highly efficient way to generate a long-list of relevant keywords which would rank high. Ubersuggest provides you with many keyword ideas to improve your Search Engine Optimization (SEO), Pay-Per Click ads, and content marketing campaigns. SEMrush have proven to be the bloggers choice among SEO tools as they have overtime helped bloggers and webmasters improve their site's search engine rankings . This list won't be complete without it. SEMrush delivers analytical reports by giving it's users insight into a competitors strategies in display advertising, organic and paid search, and finally link building. They provide metrics as regards keyword rankings, on-page search engine optimization, and your competitors. Formally Google Webmaster Tool, Google Search Console allows webmasters to check indexing status and to optimize the visibility of their websites. Google is the world largest and most visited search engine in the world, so therefore, you must work in alignment to their terms and Google Search Console is the tool to help you stay in alignment with Google's search conditions. 4. Listing of internal and external site links. With these tools, you are covered on the issues of improving your blog traffic with regards to Search Engine Optimization (SEO). 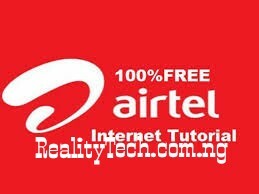 Stay Connected To Realitytechszone.com.ng, We Have Alot To Offer You Guy's.